Choose a nice background image for your profile. 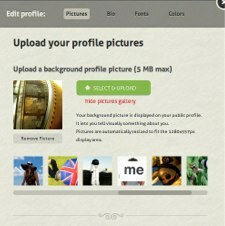 The first thing another CircleMe user sees when they first visit your profile will be your background image. This means it’s super-important to choose just the right one : -) We’ve got a gallery of fun photos that you might like, so feel free to have a look through these and select one. Got an image you think would look better than one from our gallery? You can upload that to use on CircleMe. Maybe a photo you’ve taken, your favorite desktop background, maybe even a photo of your recent holiday! On our Twitter account we often share some interesting user profiles, so take a look for inspiration (or tweet us with yours). Try and use an image with an area that’s not full of detail, this will give you a good place to display your name and bio. Don’t forget to add a profile picture. You’ll want to choose a good one with the subject in the centre. 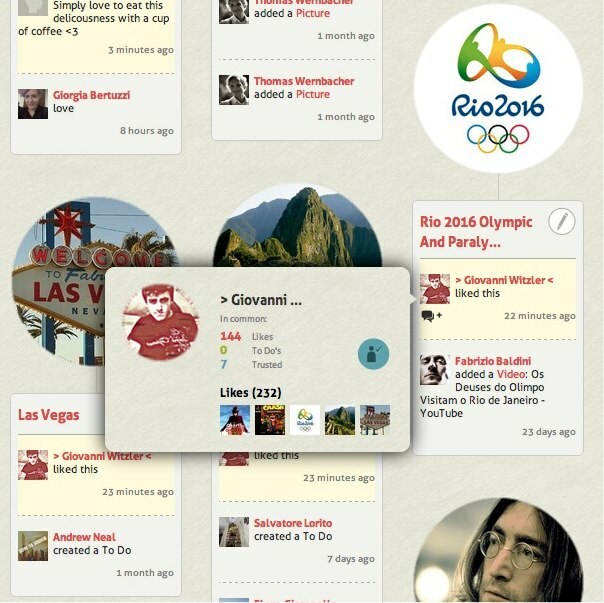 This will mean that your friends will be able to instantly recognize you from your activities on CircleMe. Your bio is the place to say something about yourself. Since CircleMe is all about being what you Like, why not share some of your favorite things here? We’ve seen loads of great bios, here are some ideas for you. Now here’s a good bio! Your favorite song lyrics or quotation from one of your heroes. Maybe you know exactly what you want from CircleMe, setting your bio as something like ‘searching for new music’ or ‘on the hunt for my next favorite book’ will tell other users something about you. Or maybe you want to say something different about yourself… You can be as creative as you want here. Don’t forget that you can add a website to your profile. You could share a link to your own blog, or maybe you’d like to share your page on a social media site, such as Twitter, with other CircleMe users. Or maybe that YouTube video that always makes you smile. Express your individuality with a font that says something about you! Maybe you’re an exciting Aller, or a fun-loving Didact Gothic, maybe even an Indie Flower! 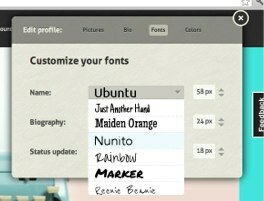 We’re just joking, anyone can choose their font on CircleMe. Currently we’ve got 23 fonts for you to choose from, and they all come with the CircleMe guarantee: They will look great on your profile! Don’t forget you can change the colors of the sides of your profile, it looks great if they match the edges of your background image! 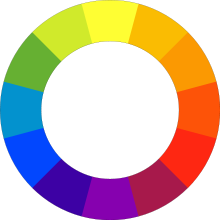 You can also choose which profile style you prefer; Dark on light, or Light on dark. Experiment to see which showcases your Likes the best. 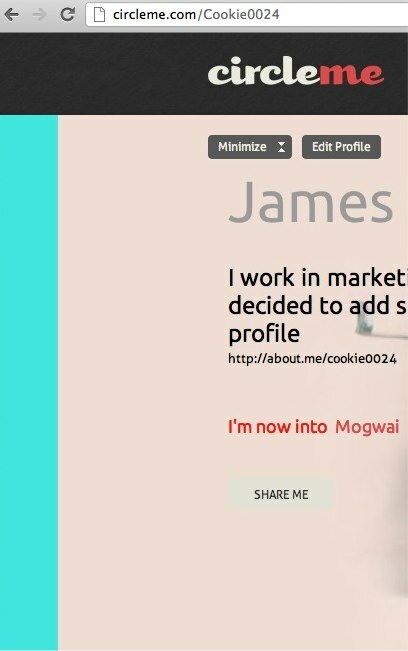 We hope that this blog post has inspired you to try out our profile editor and to get Circling! If you have any questions we’re always happy to help you. You can email us at info@circleme.com, tweet us, or contact us through Facebook.